Watch Ellen DeGeneres' sweet tribute to her friend Carrie Fisher. 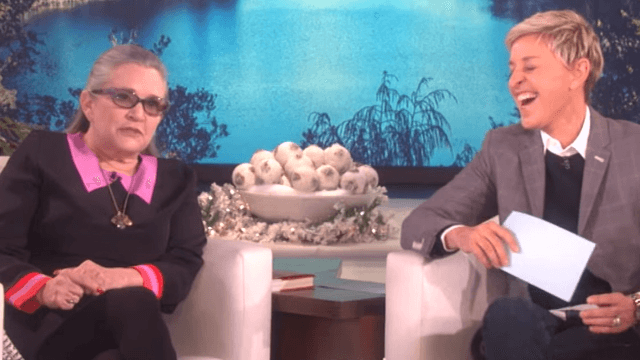 Wednesday on her show, Ellen DeGeneres paid tribute to the late, greatest Carrie Fisher, who made many memorable visits to the set over the years. From giving out Star Wars tickets on the street to dispensing some of her words of wisdom, Fisher and Ellen always had a good time together, which makes for a great time for the audience. "I'll miss you Carrie. I love you," Ellen signs off, "Be kind to one another."